01.7.19 – Design Engine has prepared new material for the Creo AAX Advanced assemblies classes we offer. If you have the Student login be sure to visit that section to get a glimpse of what is new. 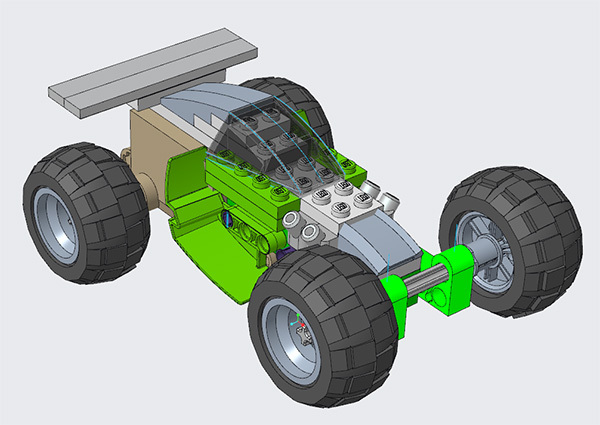 Other classes we will offer new is the Creo to Solidworks / Solidworks to Creo class. 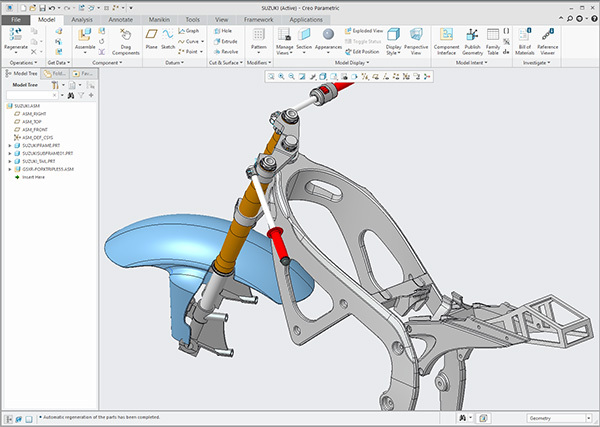 https://design-engine.com/creo-to-solidworks-or-solidworks-to-creo/ One other class we will offer this year is an intensive comparison of Creo vs Solidworks for those companies looking to make the switch. This class will be offered in an unbiased non sales perspective in week long format starting this month. 01.14.19 – Design Engine conducted a week long plastic part design for injection molding class in Solidworks this week. Our customer Display Technologies makes the drink dispensers we see in the cooler at your local 7 Eleven and other convenient stores. 01.14.19 – Ferrara Candy Company sends industrial designers to Design-engine for our week long Solidworks from Creo training class. Participants took our Creo Training classes while at another company in 2014 and now want to get up to speed on Solidworks as quickly and efficiently as possible. 01.21.19 – Design Engine conducts the Customized Advanced Part Design & Creo Advanced Assembly class to Harris Corporation in the Design engine Chicago office. 01.21.19 Design-engine sends one of the Industrial Designers to UIUC to help ID Students with Rhino 3d tools. 01.23.19 UIUC ASME teams come to Design Engine this day after work to get a series demonstration of PTC Creo. 01.28.19 – Design Engine has been asked to preform a demonstration with a “non sales oriented” perspective, comparing SOLIDWORKS to Creo, for Sleep Number in Minneapolis MN. They are interested in switching from PTC Creo to SOLIDWORKS. Our deliverable at the end of this intense comparison will be a metric for making a non emotional decision based on needs, cost, UI, ease of learning, PDM and data migration. Yes it was -31°f in Minneapolis this week not including heat loss to windchill. 01.28.19 – Design Engine conducts a Creo Simulate Class this week to the US Army in Tobyhanna PA.
01.28.19 – Design Engine conducts her Creo Surfacing WEEK ONE this week in Chicago (-20°f) this week. Customers Caterpillar of Peoria IL & Leapfrog of Oakland CA send participants for this week long intensive. 02.11.19 – Design Engine Conducts a new and special AAX- Advanced Assemblies Creo Training intensive to the US Army in Detroit MI. These teams have taken an abbreviated version of this class a year earlier in the form of a Creo 4.0 update training however, this class goes much deeper into the AAX tools & this course is complete with a team approach to Top down design. 02.19.19 – Design Engine Administers to the US Army a special two day Creo Sheetmetal class, one day Creo Weld & one day Creo Detail Drawings intensive this week.